The youth of today have become much smarter and are interested to get government jobs. They have realized the fact that private companies are no more secured and may get closed or retrench their employees at any point of time. Besides this, the salaries and perks offered by the different government institutions are also much higher and secured. There are provided promotions to deserving and eligible candidates with time. It is these schemes introduced with the government jobs that have been attracting candidates in huge numbers from all over the country. 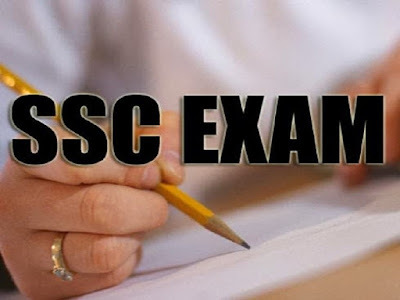 Since thousands of candidates have been trying to ssc apply online and sit for the exam, the government has established a commission to handle the affairs that are related with the recruitment of candidates in the non-technical posts. This commission is called the SSC (Staff Selection Commission). This commission has earned it name due to its efficient functioning right from its being set up. It has been recruiting the very best minds from all over the country and from thousands of candidates applying for different types of SSC exams. This commission is said to have its offices spread all over the country and handles exam related to the respective state together with the neighbouring states. The questions papers set are quite challenging and requires the candidates to study very hard and complete the whole syllabus on time to appear confident and to qualify the exam. The exam papers are set by a team of highly qualified experts. It is these experts who also prescribe the syllabus of the exam, which in turn covers different areas. Staff Selection Commission’s major responsibility is to recruit non-technical, non-gazette technical & non-technical employees for posts lying vacant in different government departments, its subordinate and attached offices, etc. But it does not cover Railway Recruitment Board and Industrial Establishments. The SSC conducts tests in typewriting, both in Hindi and English language. Also are conducted interviews and exams. Candidates are promoted by this commission based upon their performance in a specific domain. It is the SSC main office, where major discussions are held with regards to special candidates. Also are presented and discussed annual reports. Through voting system, changes if necessary are introduced. Candidates are recruited by the SSC for post of divisional accountant, statistical investigator, stenography, lower divisional clerk, Jr. Engineer (electrical and civil), etc. Interviews and exams conducted in respective regions is the responsibility of the regional offices of the SSC. In case of difficulty, the main office takes up the matter, where the issue gets scrutinized and deals it with necessary care. They are few of the responsibilities take up by the SSC to fulfil its role with great efficiency and accuracy to fill up the latest government jobs that have been created or lying vacant left by those retired. Throughout the different times of the year are conducted different types of exams to identify candidates for various types of posts.